The old mansion has been living a mysterious life of its own. Explore the dark rooms of the house and discover the secrets that haunt this eerie place. Meet the talking raven and the Spirit, the enigmatic captives of the mansion.Confront the insidious lord, break the evil spells, set the captives free and become the owner of the gorgeous mansion. Numerous hours of adventures and discoveries await you in this free full version PC game. Free Game Features: - Over 700 unique items to find; - 34 locations to scour; - 30 mini-games to enjoy; - Tricky puzzles; - Unravel the mystery of the dark mansion; - Free full version game without any limitations. 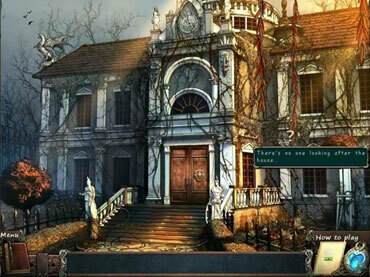 If you have questions about Mystery of Mortlake Mansion game, please contact us using this form.